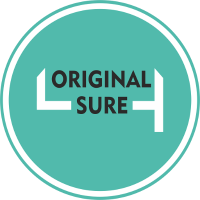 Original4Sure is a pioneering technology start-up based out of New Delhi, India, funded by prominent VCs and Angel Investors in India. Original4Sure is a part of Evato Technology Private Limited and was incepted in the year 2015. With over 3 years of working experience with prominent brands, we've built end-to-end products focused on Supply Chain visibility. Are you smart, driven and out-going? Are you interested in surrounding yourself with creative, forward thinkers who are passionate about using cutting edge technology to make a difference in people’s lives? Do you excel in an entrepreneurial, high growth environment that values fresh ideas and enables you to choose your own adventure? If so, Original4Sure is the place for you. Original4Sure is currently looking for a Research & Communication specialist to join our team. Under the guidance of the senior employees of the company, you would be part of the company’s Think Tank, responsible for ensuring that the content & strategy for client meetings, board meetings, conferences and speaking engagements is always on point. You will also be responsible for market research to drive’s company’s sales and marketing strategy. - Industry research for trends and potential client requirements. Further tracking policy changes and development in the industry. - Analyze competitor activities across online, events and partnerships and feed the information regularly to the marketing and sales teams. - Build, deploy and analyze market surveys to extract useful market insights and monitor the company brand perception. - Market research for business opportunities. This includes a key deliverable of creating the client pipeline and key people in the target companies. - Create and deliver PPTs / Proposals / Pitch Documents, White Papers working closely with Sales team in client engagements. - Strong experience in Secondary Research. - Understanding of various research techniques like Pyramid Principle etc. - Minimum 2 years of experience in consulting, research related domain. - Strong sense of ownership & drive. - Familiarity with Consumer Electronics, FMCG, Agriculture, Pharmaceutical Space. - Far beyond average PPT/Keynote skills.